Sam and his family are the only werehyenas in their town, and they do their best to keep up their cover in front of the humans while the other more aggressive shifters mock the werehyena family for being weak and passive. But Sam sees no other life for himself, as he believes what he is told: he is inferior to the other shifters. One night, a pack of shifters raids Sam’s house and takes his family, leaving him all alone. With the help of some new friends, Sam sets off on a journey from Vermont to South America to rescue his family. Along the way, he meets various shifters who aid him on his quest. He even meets a tribe of werehyenas in Louisiana who teach him how powerful his kind actually is and how far his ancestry goes back. From them, Sam learns he has a great destiny to fulfill. As Sam draws closer to finding his family, he begins to understand how different the world of shifters is that exists outside of his small hometown. Shifters are tired of humans destroying their homes, and they want not only revenge but also to force humans into submission. It becomes clear that Sam is the only one who can stop a war that’s on the brink of erupting. 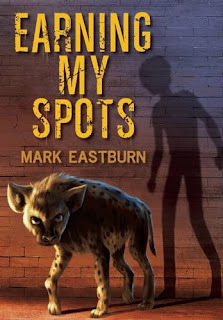 Fans of the Spirit Animals and Warriors series will enjoy accompanying Sam on his quest as he discovers not only that his destiny and inner strength are greater than he thought, but also that being a werehyena is not as laughable as he assumed. This was a great book that brings out some great characters and really allows you to explore a world different than our own in ways that bring forth cultural nuances and more. The book keeps you guessing and there are some inherent messages that are shared that I was not aware would be present at first but they were great to see and can educate and make people think as well as provide entertainment too. This was a great book that you will love!